In the last post we looked at ways to drive traffic to product reviews using keywords & content. Now we'll look at promoting products & reviews via Social Media. 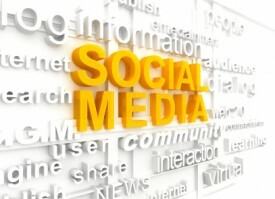 Most people immediately think Facebook or Twitter when you say Social Media Marketing. But any form of media that is "social", or conversation driven, can be considered Social Media. I prefer to call it Conversation Marketing, in contrast to Content Marketing which we discussed in Part 1. With Content Marketing you are the one doing the talking, by creating content and leading your visitor into a decision. With Social Media you are joining their conversation, usually on their terms and in their space. 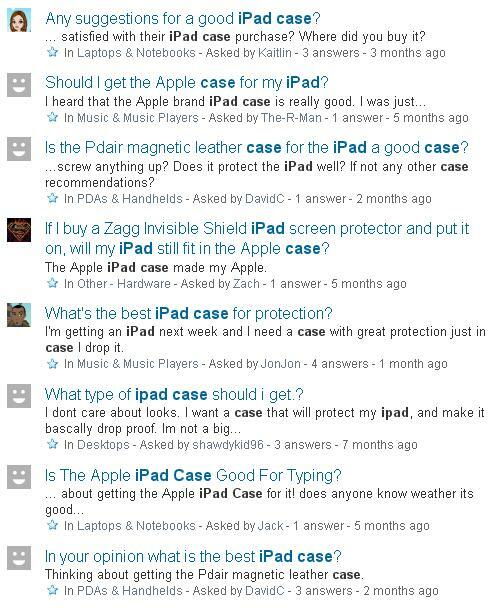 People are discussing products all over the web. In addition to doing searches they are talking about them on blogs, in discussion groups, on forums, at Facebook & Twitter, on Social Q&A networks, and inside membership sites. It would be overwhelming to try to find and keep up with all of the conversations starting and happening every day across all of these places. Instead you want to aggregate those conversations so that they come to you as they are happening. The best way to do this is with the free Google Alerts service. I recommend that you set up a Gmail account just for this purpose, so as not to clutter your business email account. Using a Gmail account allows you to access the alerts from any device. You can have the alerts emailed to your account, or set them up to go to a feed. I prefer to keep up with alerts using a feed reader on my mobile device so that I'm on top of new alerts as they happen. Google Alerts Tip: Use "quotes" to get exact match results. To give you an example, I have a product review here at ClickNewz for the best Apple iPad case. I dropped and shattered my original iPad, so I went through several iPad cases before I found one (actually 2) that served my needs. Using the Search box in the right navigation column on Twitter, you can create and save searches you'll use often. Each search also has it's own RSS feed, allowing you to keep up with them in your feed reader instead if you prefer. There were great forum results from Google Alerts on the same topic, so I would reply with my personal experience about shattering my first iPad - and what I discovered you should really look for in an iPad Case. In addition to Facebook, Twitter, and Discussion Forums there are many more places around the web where people are asking about products and product experience. One of the most common in the last few years is blogs. Leave a comment, linking back to your review in the URL field. This will often offer very little click-through rate, but does count as an inbound link. Create a Trackback to their post, if they publish Trackback links. These count as inbound links and also see a higher click-through rate than blog comments. One idea is to do a round-up post as a follow-up to you review that includes links to other blogs discussing the product - with the call to action being to read your review or comparison. See other bloggers who are affiliates for the same product? Offer to let them interview you about your results with the product. Allow them to use their affiliate link to the product in the interview post, with your only requirement being a hyperlink back to your review. Write guest blog posts for other affiliates, including their affiliate link to the product, with a call to action in your bio or byline at the end that leads them into your review. Your buyers are out there asking questions. Your job is to find those buyers and join their discussions. By being helpful, and conversational, you can get your products or your reviews in front of the very people who are looking for them. Thanks, Lynn, for outlining the difference between appearing "spammy" and really joining in the conversation - that can be a fine line. Another great resource for finding questions is Yahoo Answers. I find that the best rated answers provide detailed information along with a link for more information, not just "oh, there's a great article about that here"! Great advice, Lynn. I especially liked the idea of creating an account specifically for google alerts. I never would have thought of that. Good article Lynn the way you pulled everything together. Just occurred to me to create a checklist for each of my projects. Make it a point to take 30 mins. a day to go through the checklist for each one. Excellent advise. I didn't realize that I could pick up Twitter by Google Alert. Am still learning my way with Twitter but am finding that it can be used so creatively once you get the hang of it. Got to get past the "noise" and see the much smaller number of tweets that are useful to you. And sometimes, tweets can be useful in unexpected ways. It never hurts to build good relationships with others in your field. Lynn, thanks a lot - now I will say for what. Although I'm not new to online marketing and things like that, Twitter was something that I can't understand, I mean, I can't understand the mechanisms of its functioning and how I can promote my products there. You opened my eyes - now I see that I've been doing the wrong thing. Did not know about Google Alerts until today, thanks! I am curious though.. is there a reason you don't have a Facebook Recommend button for your posts? ah ok cool 🙂 yea I like the Recommend/Like buttons (same thing different language) because it allows me to both share on Facebook and/or like/recommend the post without leaving the screen. Thanks for the update! I've used Google Alerts before but only using one keyword and it's just my site's name. Too bad I didn't realize early the great potential of this tool. Now, I will cope up the lost opportunity to connect with other people online. This year in the 30 day challenge with Ed Dale, I learned how to set up the Google alerts in my Google Reader, but I find it overwhelming. Learning how to find these conversations and join in is on my to do list. I use Twitter,never heard of Google alerts.Everyone seems to like it though.I'm gonna check that out.Thanks for sharing Lynn. Awesome blog Lynn. I just started using Twitter for marketing and it seems very good.Its seems harder to build any kind of business from Facebook or Myspace. What about social bookmarking sites? There are ways to join conversations there as well. I use the Add This plugin for Firefox to both tag my articles/videos ect and join in or start a conversation on other people's tags. I like Digg, Stubeledupon and Reddit best for interaction. Have you found a way to see what people are talking about on Facebook? I know there is something out there for it. Love the idea of using youtube to comment. Never would have thought of that. Hey Lynn this is great info. I have been quite frustrated to understand just how to use twitter and this clears up a lot of questions for me. Thanks so much...adding more search terms to my google alerts and with the quotes thanks for the tip. I've been using Google Alerts for a few months now and I've found it to be an invaluable tool to get info you need - it doesn't just save time, but it works as a reminder if you get swamped with other stuff. I have seen the services that automatically direct message people that mention certain keywords. I guess that would be frowned upon. Most definitely frowned upon - yes. I get those all the time, and report them as Spam the second I receive them. There are others that tweet you, instead of direct message - and I block & report those as well. Google Alerts can be very useful but I've found out that there are some criminals with my name! Man, Lynn, this is a terrific post! I especially like that you've provided screenshots/examples (although I do know you do that often), and that you've talked about more than one or two ways to promote products with Social Media. Like a couple of the others have mentioned, I, too, hadn't thought about using a Gmail account for Google alerts. Thank you for the other tips, as well. Thanks for the tips! I'm new to all this, and it can sometimes feel overwhelming. I'll be checking out Google Alerts! You can also set up Gmail to send mail from specific email addresses or with specific subjects to the folder you designate. I love it so I always know where to find new emails from certain addresses. Thanks for the info! These are tips that I hadn't thought of before. Great information, especially the google alerts! I'm going to try those right away! As a newcomer to facebook I'm slowly finding my way round social networking- but know I'm not making the most of it. I have to admit that as I read through this advice I began to haze over, but will try google alerts to start with and explore other blogs. Thanks will endevour to keep trying new things! Very helpful. For a six month old business having this much organized information in one place is great. Thanks for outlining this so clearly. It's easy to get caught up in twitter, but without setting the foundations with Google Alerts, it's difficult to make meaningful conversation. Great information. Like many of your readers above, I'm always delighted when I discover a way to social network more productively.